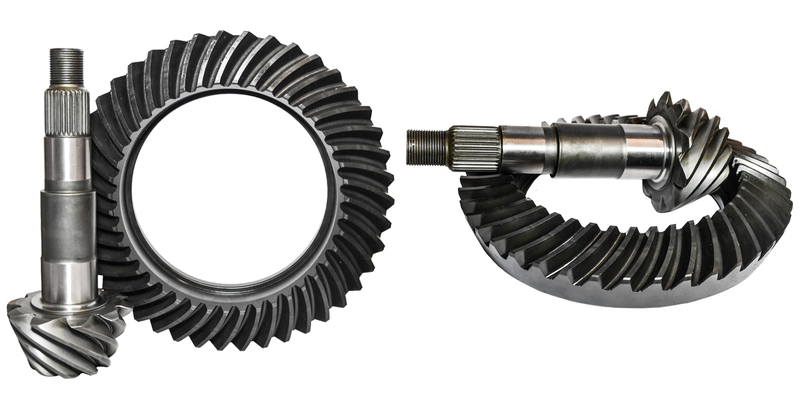 Nitro's AAM 11.8" 4:30 gear ratio are what every diesel owner has been looking for. The larger 11.8" diameter increases the strength of your rear axle overall, and still fit inside the 11.5" housing. 2014 & newer models have the 11.8" housing already but now you can install the 4.30 you've been looking for. We've taken the bearing guess work out of these builds with a detailed master kit you will need based on year, make and model. For a complete, no hassle one part number over-haul, check out our gear packages that include both front and rear Nitro 11.8" gear and rear master kit.